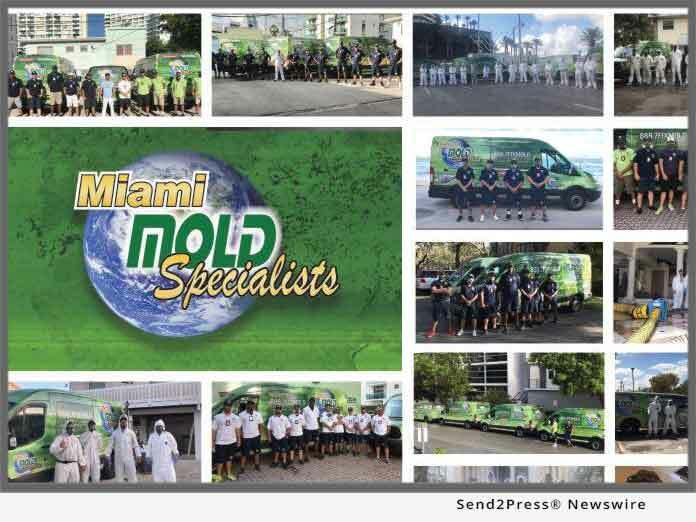 MIAMI, Fla. /Florida Newswire/ — Prestigious South Florida Mold Removal Co., Miami Mold Specialists, Acquires State of the Art Fogger Tech. Specifically Designed for Attic, Crawlspace, and Maritime Mold Remediation and Disinfecting. Toxic mold in attics and crawlspaces is a major problem throughout the state of Florida. Taking into account the past hurricane season, crawlspaces among many other areas exposed to flooding would all be perfect places for mold to thrive. Attics are another prime area for mold to grow as these areas are constantly under extreme temperatures and consistent high levels of excess moisture and humidity as South Florida is in fact, classified as a tropical climate. Miami Mold Specialists new state of the art vector foggers are specifically designed for getting in those hard to reach areas, such as in attics and crawlspaces. The innovative South Florida mold removal company also utilizes Airbiotics, an all-natural, all purpose, VOC free, biodegradable cleaner that utilizes natural probiotics to clean and disinfect areas on a microscopic level. Miami’s Premier Indoor Air Quality, Mold Remediation Service Provider- Miami Mold Specialist: High Tech and Eco-Friendly Indoor Air Quality, Mold Inspection, 3rd Party” Conflict Free” Mold Testing, and Mold Removal Services. Multi Certified, Licensed, Bonded, and Insured. Over 30 Years Experience!